Glitter Dolls Face, hair and body glitter for festivals and events! GLITTER IS OUR THING AND WE SPREAD OUR GLITTERY LOVE ALL OVER THE UK! 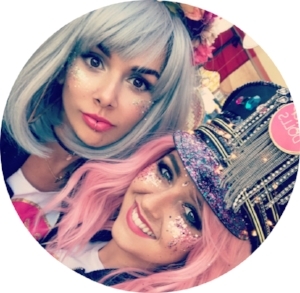 US CREATIVE DOLLS USE BESPOKE CHUNKY GLITTER MIXES PROVIDING CUSTOMERS WITH A VERY UNIQUE MAKE-OVER EXPERIENCE, CREATING EXCITEMENT AND ELATION! TURNING DULL FACES AND BODIES INTO BEAUTIFUL SPARKLING ANGELS ACROSS THE UK AND EUROPE, WE LOOK FORWARD TO MEETING YOU AT AN EVENT SOON! We offer bespoke glitter bar packages for parties and corporate events. Find out about us and what we do!